(Said with a gruff voice and a squinty eye...) Ahoy, all ye mateys! How be ye? 'Tis a fine day ta sail the seas, so if'n ye intends ta show yer Pirating ways, you'll be needin' to procure a bit o' the booty. Here in these worn pages, ye'll be pleased ta find all ye need. 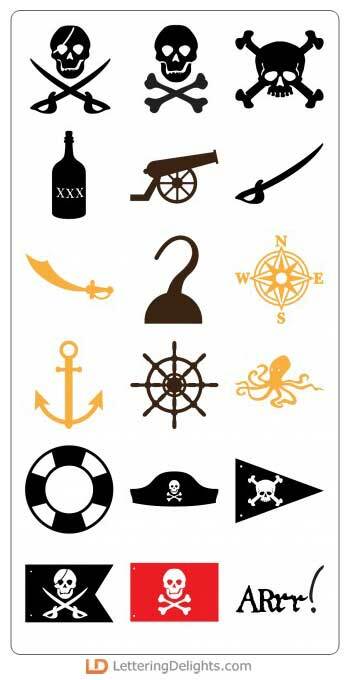 But be warned, keep ta the code an' have yer sea legs, er shiver me timbers, yer hearties'll have ye walkin' the plank! (Translation for non-buccaneers:) Hello, friends. How are you? If you'd like to add a Pirating look to your crafting or parties, just be sure to use the correct products. Here at LetteringDelights, we have exactly what you'll need! 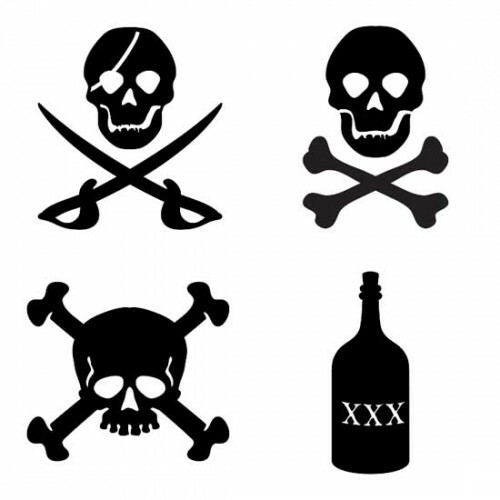 But, we want to warn you, you must be an authentic pirate, or you'll run the risk of ruining your swashbuckling image! 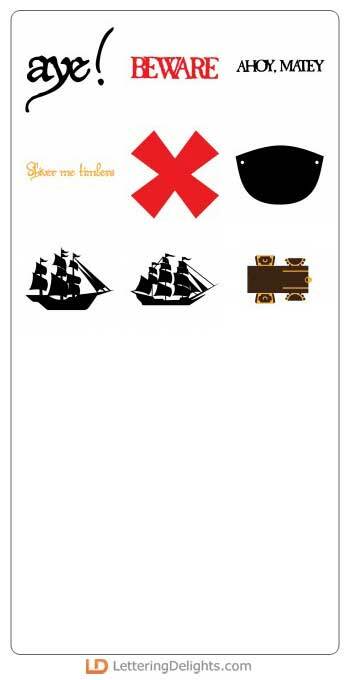 Cut Sets contain vector images. They are printable, cuttable, and scalable without loss in resolution. They are also compatible with most third-party software. View Cut Sets to learn more.